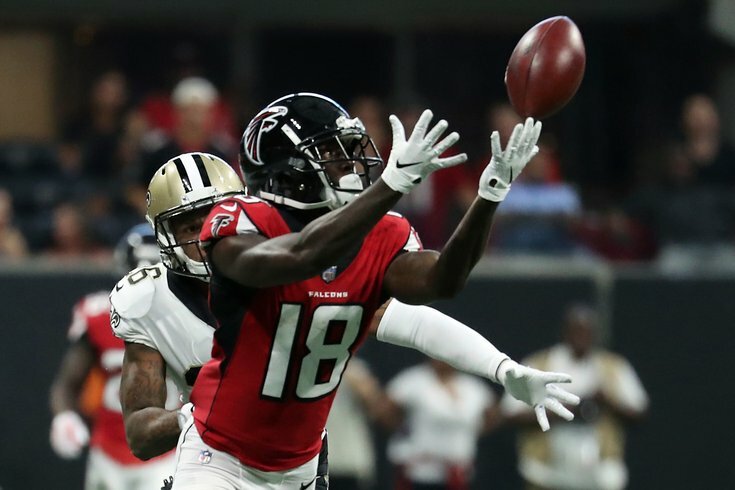 Calvin Ridley is showing he was worth the high draft pick. As we do every week, it's time to take a look at your fantasy league's free agent list ahead of Week 4 action. The following players are owned, as of Wednesday, in less than half of all leagues (according to Yahoo). By the end of the week, all of them should probably have a spot on a roster. PhillyVoice staff Fantasy Football Draft: How many Eagles did Jimmy Kempski pick? It's time. The No. 1 overall pick will be the starter going forward for the Browns, and win or lose from here, he has enough weapons to be potent as a back up or bye week fill in. If he continues to improve and impress, he could leap to starter for teams in need. Last week he threw for 201 yards in relief. More impressively, he led the Browns to their first win since 2016 and completed 74 percent of his passes. Allen isn't collecting many yards or carries — he has just 32 on 16 carries this entire year — but he has found the end zone in every game this year and appears to be a red zone favorite. He had two touchdowns in Week 3, one through the air where he had 13 receptions thus far. The Steelers defense has been quite soft, and Allen is incredibly startable next week. Ridley won't be available for long, but Yahoo says just 47 percent of leagues currently include him on a roster. After three TD and 146 receiving yards last week, he should be located everywhere or even targeted in a trade. He appears to be the missing piece for the Falcons high powered offense, which now boasts the talented rookie opposite Julio Jones. The Philly rookie tight end had his first career touchdown pass and looked to be a favorite target of recently returned Carson Wentz, who found him seven times for 73 yards in Week 3. Alshon Jeffery has been cleared for contact, which could lessen his usage as a receiver, but Wentz loves to throw to tight ends and Goedert is a good find, available in 98 percent of leagues. The already downtrodden Cardinals offense will be led by rookie Josh Rosen against the Seahawks, which makes them a good get as some mistakes are likely in the near future for Rosen as he makes first NFL start. Miami has been one of the NFL's better defenses thus far and against a struggling Pats team, may be worth a grab if a defense is needed on waivers.